TODAY, you join over 40,000 other seekers from across the globe who are registered for The Energy Medicine & Healing Summit — starting at 9:00amPacific/12:00pm Eastern. You’re about to receive key insights and techniques that can heal and restore your body, balance your emotions, revitalize your spirit, and awaken your consciousness. with Donna Eden, Anodea Judith, Nonty Charity Sabic & more! Rollin McCraty explores how deep listening to your heart’s feelings can create the energetic link to your intuitive wisdom and guidance from your true self — your higher potential. Then Anodea Judith highlights the vital role that the energy body plays in overall health and character — and how imbalances can lead to anxiety or depression. Next up, Rhys Thomas explains that, while chakras are the precursors to the body’s health, there’s still a missing piece in energy medicine… an even higher level of the energy field that the chakras serve. Dr. Lewis Mehl-Madrona reviews some energy medicine modalities… including hands-on healing, the use of instruments (such as feathers, fans, and rattles), and the use of sacred bundles. And, wrapping up our first day of The Energy Medicine & Healing Summit, Jennifer McLean guides you in listening and honoring those parts of you that have forgotten your light and power… and shows how to activate that wisdom. Today’s lineup is going to get you in touch with your own energy and intuition, and help you find your way toward your true self, your highest purpose, and your empowered capacity to make conscious choices! 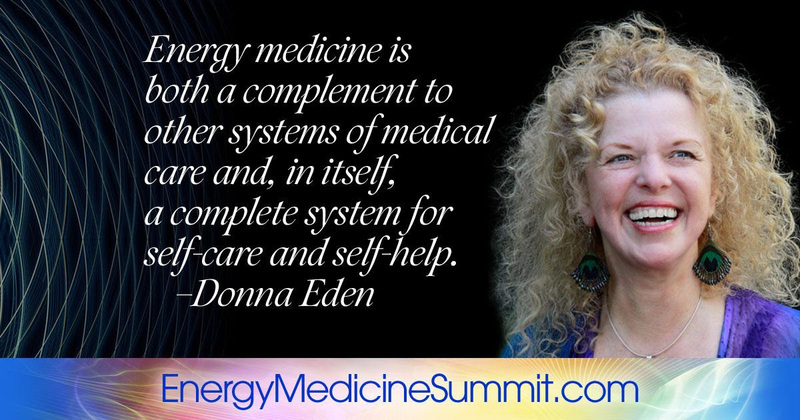 Join The Energy Medicine & Healing Summit series by phone or listen over the internet — accessible on your desktop, tablet, or smartphone. Join via Audio Webcast: Visit The Energy Medicine & Healing Summit Program Page to access the program sessions live and for 48 hours following their broadcasts. Join via Phone: Dial +1-425-440-5100 and enter PIN: 301394 followed by the # sign to join the sessions LIVE. View the full program schedule here! All sessions are in Pacific Time. A timezone converter is also included for your convenience. Note: The Energy Medicine & Healing Summit sessions are available for 48 hours after their initial broadcast — at no charge. To access the sessions after 48 hours, check out The 2018 Energy Medicine Wisdom Collection (and a HUGE limited-time discount!) here. Each session of The Energy Medicine & Healing Summit will be available on our Program Page to replay for 48 hours after the initial live broadcast. However, there will likely be times in your life when you’re going to want to refer back to some of these sessions — to help you address illness or trauma, reduce stress, create clear boundaries, etc. So we put together The 2018 Energy Medicine Wisdom Collection for you — a complete set of recordings and transcripts from every Energy Medicine & Healing Summit session, PLUS an exciting bundle of 9 bonuses. RIGHT NOW, you can receive this entire package for 50% off! Learn More & Access The 2018 Energy Medicine Wisdom Collection here! Innersource is the home of Donna Eden’s Energy Medicine, David Feinstein’s Energy Psychology Interactive, and their other programs for living more consciously and more joyfully, the Conscious Living Series. Innersource programs and publications are in the areas of Energy Medicine, Energy Psychology, health, holistic health, healing, alternative healing, alternative medicine, complementary medicine, mythology, personal growth, spiritual development, relationships, rituals, death and dying, and conscious living. The Five Elements is an ancient personality type system that allows you to look at the world through a new lens of compassion and unity. Previous Previous post: April New Moon… and New World!